I was a reader of Catalonia Today before I was a writer for Catalonia Today. My first memory of it (at that time published as a weekly newspaper) was being impressed by (now Editor) Marcela Topor's wonderful interview with the Catalan novelist Vicenç Pagès Jordà in an edition from October 2006. "Bad readers make incomplete citizens" was the title of the article and I kept it filed away. I also continued archiving all the editions when my own work began to be published. Last week, at random, I pulled out a copy and, as it it turned out, this one from November 2008 was the final weekly edition before the newspaper became a monthly magazine. In it I had an article about Barcelona teenagers addictions to mobile phones (which is maybe even more timely today) but it is the content of the other pieces in this thirty two page publication that really impresses me still. Flicking through "The Week" section, anyone with decent English could learn about the situation of homeless people here or they might also read an update on the saga of Judge Garzon and his efforts to allow the opening up of mass graves from the Civil war times. Equally, this issue also gave the opportunity to get well-informed about pollution and Co2 emissions in the Tarragona region or to try and understand the reasons for 30,000 Valencians taking to the streets over the use of English in schools there. A special double-page report by Gabe Abeyta Canepa delved into the world of the Mormon church in this part of the world and detailed the work of the 132 missionaries who walk their shiny black shoes across Barcelona's streets. Towards the back of the newspaper in the Review section Joseph Wilson did some fine work in the arts, culture and language areas. Apart from the original interviews also there, I was always struck by the page which gave a round-up of the fairs, festivals and other events across the whole of Catalonia. 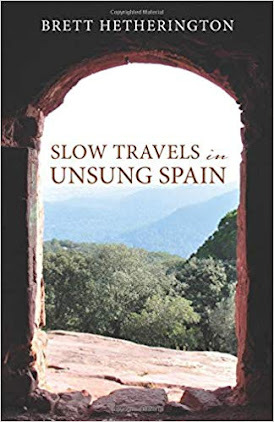 This made an impact on me because it showed that there was life (and even cultural life) outside Barcelona - a fact that is largely overlooked by both visitors and English language media. 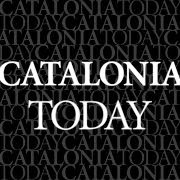 Catalonia Today was, and still is, the only print publication that routinely acknowledges the existence of a wider Catalonia outside the capital. It does this in a magazine that you can touch. It was the first Catalan newspaper in English and I am proud to be a regular part of it. Catalonia Today deserves at least another ten years,...if not more.